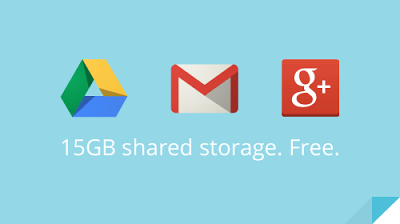 Here’s some good news for all you Google Drive fans. 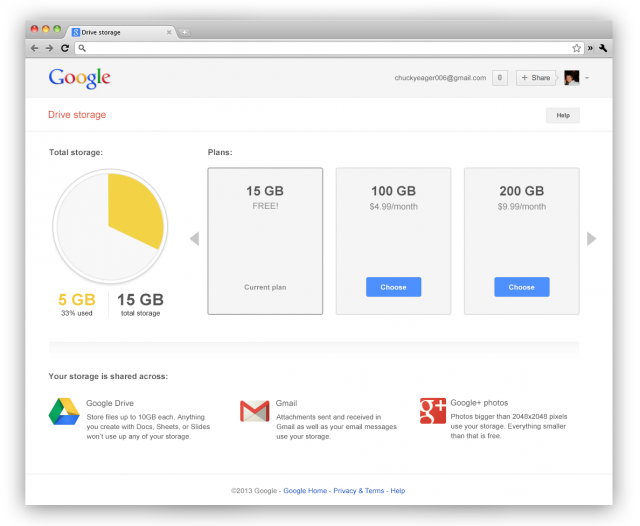 Google as of today has started offering 15GB of unprecedented online storage to all its existing Google Drive user’s. What the company has actually done in reality is that instead of allocating the 10GB (that is currently being offered) for Gmail and 5GB that was initially kept reserved for the Google Drive or Google+ instant upload is now being combined into a unified 15GB cloud storage in the sky. The update also adds an all new “Drive Storage” Page that helps user’s keep track of their total storage utilization and for those of you who feel that 15GB is a little less, you always have the option to switch over to the Premium Storage offered by Google which includes 100GB of cloud storage for $4.99/month and 200GB for a reasonable $9.99/month. Google have said that the update for Google Drive along with the new storage credentials would start rolling out within a few weeks. In the mean time you can start planning out exactly how you are going to be utilizing the extended storage capacity ? Skydroid Launcher makes “windows” touch the sky ! !